"Project Scheduling Tools and Techniques"
Project scheduling in Project management is concerned with the techniques that can be employed to manage the activities that need to be undertaken during the development of a project. Project scheduling techniques encompasses mapping and planning of every phase of a project’s lifecycle from initiation to its’ subsequent completion. 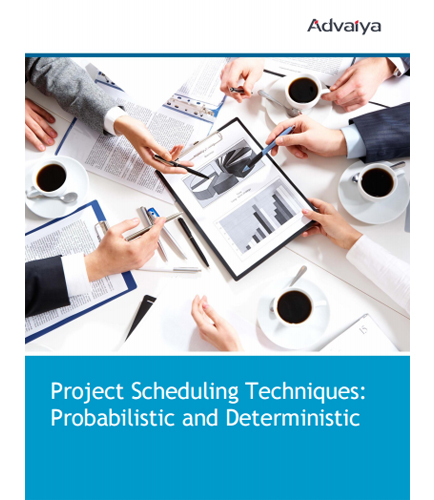 What are the various methods involved in displaying and analyzing project schedules? Which is the most widely used project scheduling technique? What is deterministic scheduling? What is the three-point estimate in deterministic scheduling? What is probabilistic scheduling? How PERT is used to determine the schedule?